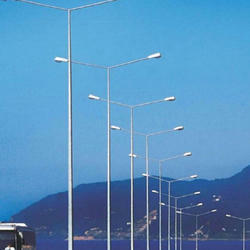 Offering you a complete choice of products which include lighting pole, conical pole, highway lighting pole, tubular steel pole, solar street light pole and ms highway light pole. 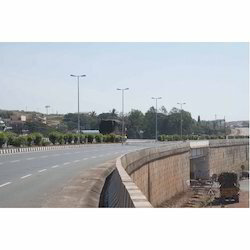 Conical Poles is generally a continuously taper circular cross section having one or more section. On top it has a bracket to mount the luminary . All the poles has Hot Dip Galvanized by single dip seven tank process. We provide special type internal hinge on request to prevent theft at site. 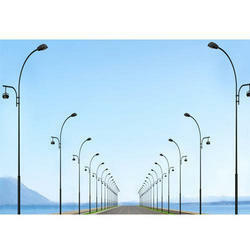 All poles have manufactured in modern automatic machinery for better quality. Welding has been done by automatic SAW process ensure proper welding strength. 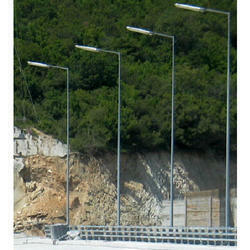 We offer Highway Lighting Pole to our clients. 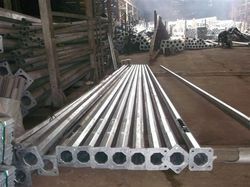 To retain our goodwill in client's consideration, we are manufacturing an excellent quality range of Tubular Steel Pole. 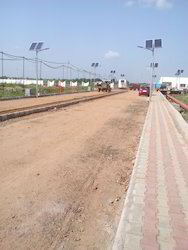 Solar Poles is generally a continuously taper octagonal/Conical cross section generally one section. On top & side of pole it has a bracket to mount the SOLAR PANEL. 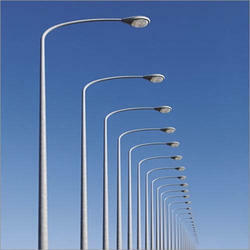 Used for Airport Lighting, Hospital Area, Security Light, Commercial Lighting, Industrial Lighting purpose etc. 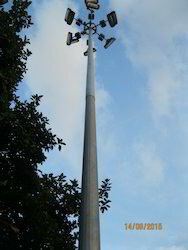 UTKARSH Pole has design to withstand wind speed as per IS 875 (P-3) and can be customized up to 300Km/h. 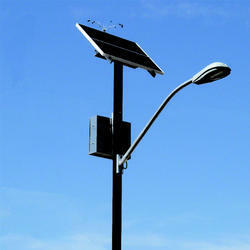 All the Solar Poles has Hot Dip Galvanized by single dip seven tank processes. 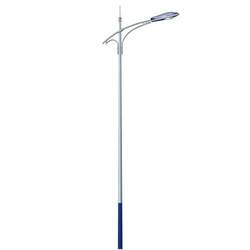 All poles have manufactured in modern automatic machinery for better quality. Hole has been done by CNC PLASMA for better accuracy. Segments are welded by Submerged Arc Welding process for uniform and proper welding strength. 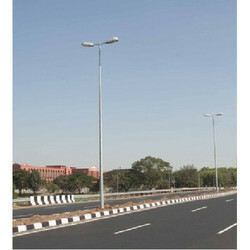 We offer MS Highway Light Pole to our clients.